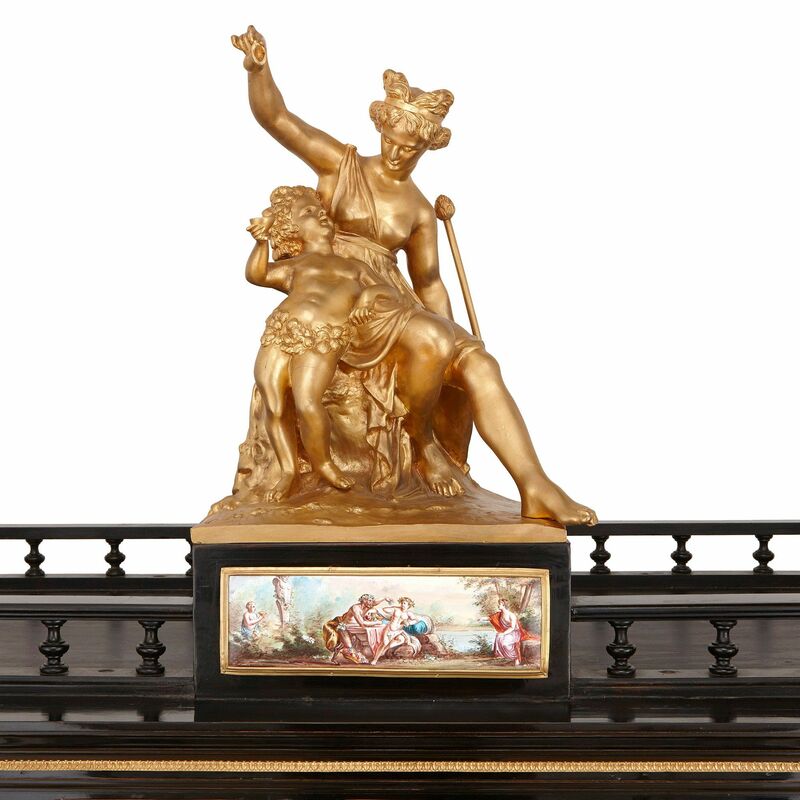 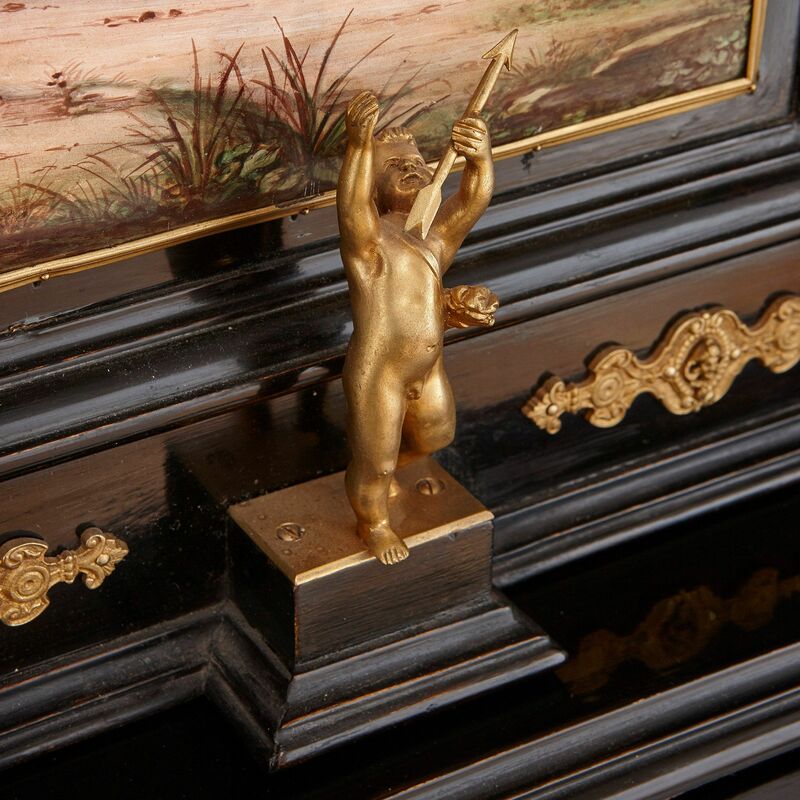 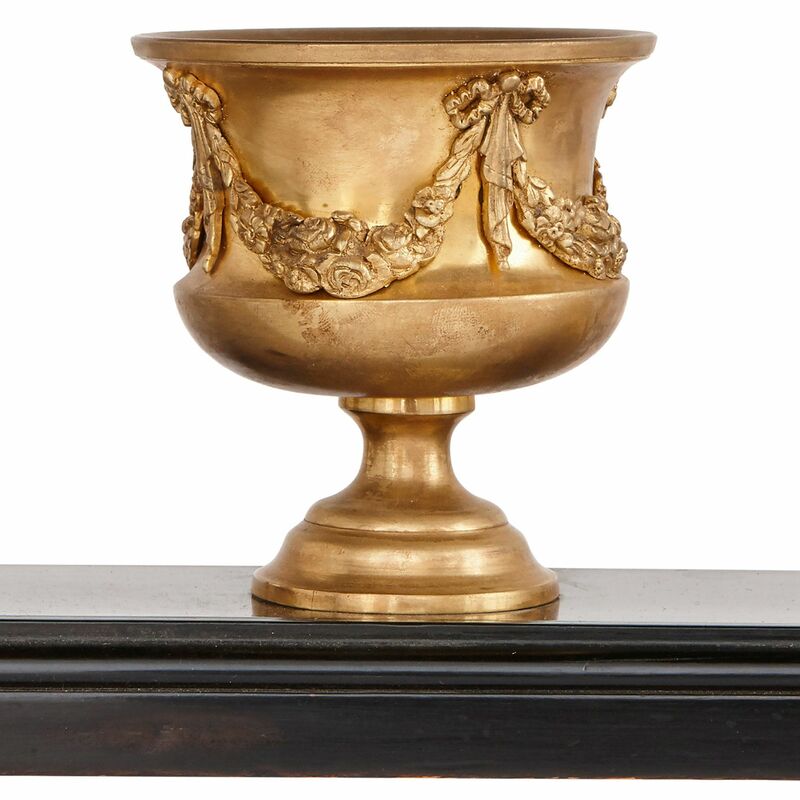 The bonheur du jour is highly detailed all over, demonstrating exceptional craftsmanship and the highest quality of woodwork, ormolu casting and enamel work. 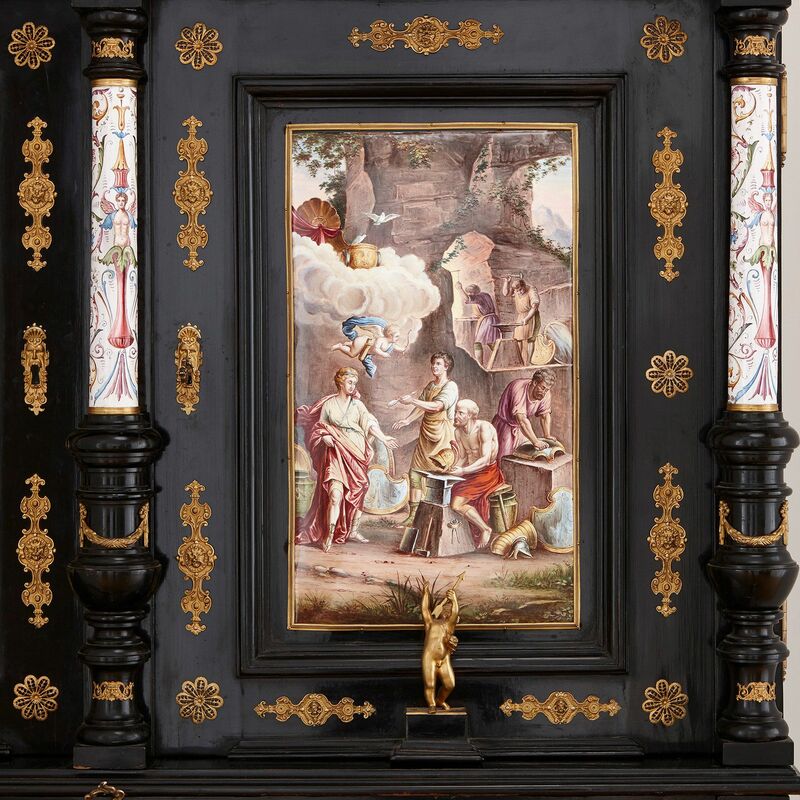 The entire piece is decorated with many extremely fine enamel panels of different sizes, all of them depicting mythological scenes and highlighted with ormolu mounts all over. 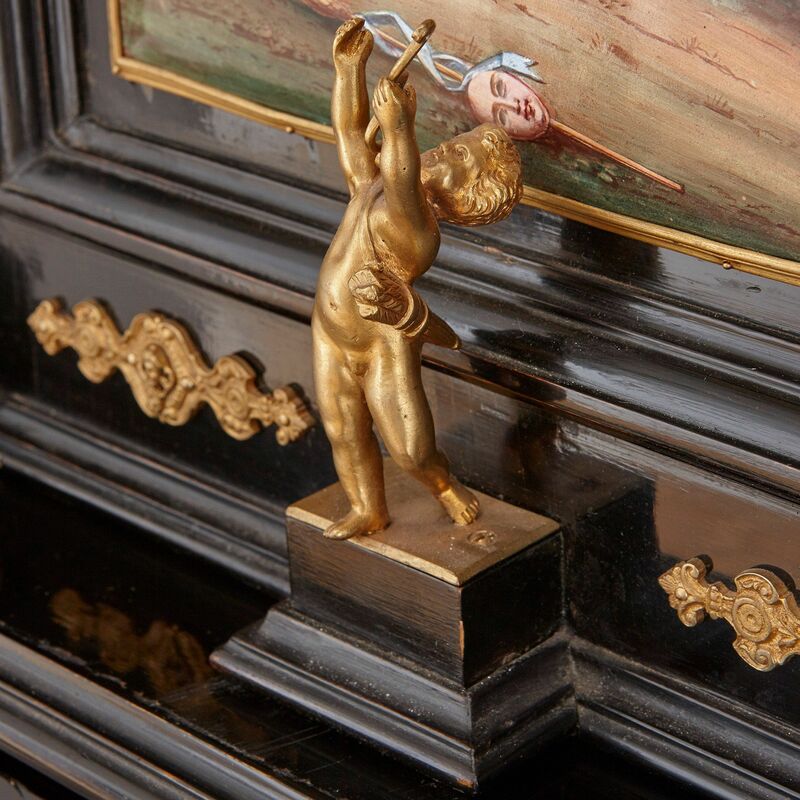 The main body is surmounted by a pierced ebonised wood gallery, which features ormolu figures standing at each of the four corners, and a larger ormolu group of a woman with a cherub to the front centre. 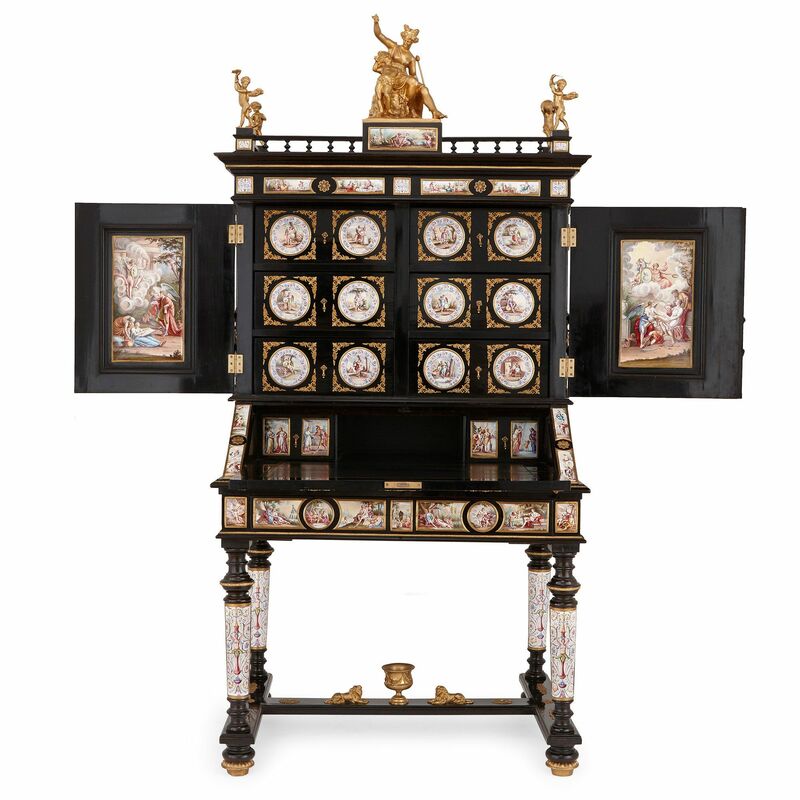 Below the gallery runs a frieze of enamel panels, and below this the front of the cabinet is set with two enameled doors that open from the centre. 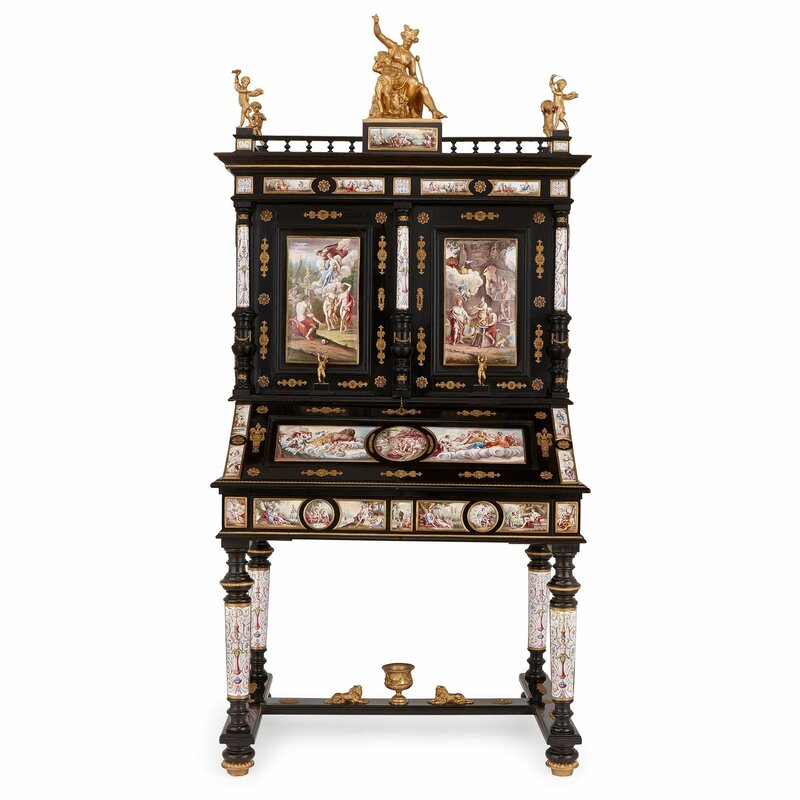 Columns decorated with enameled arabesques flank the doors, which open to reveal further enamel panels to their reverse, and six interior drawers. 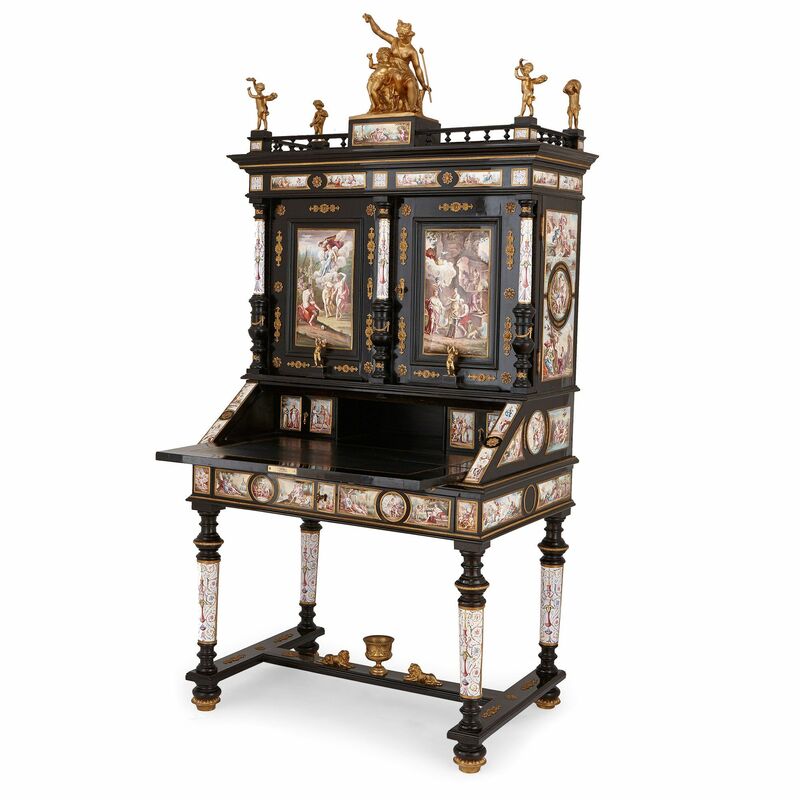 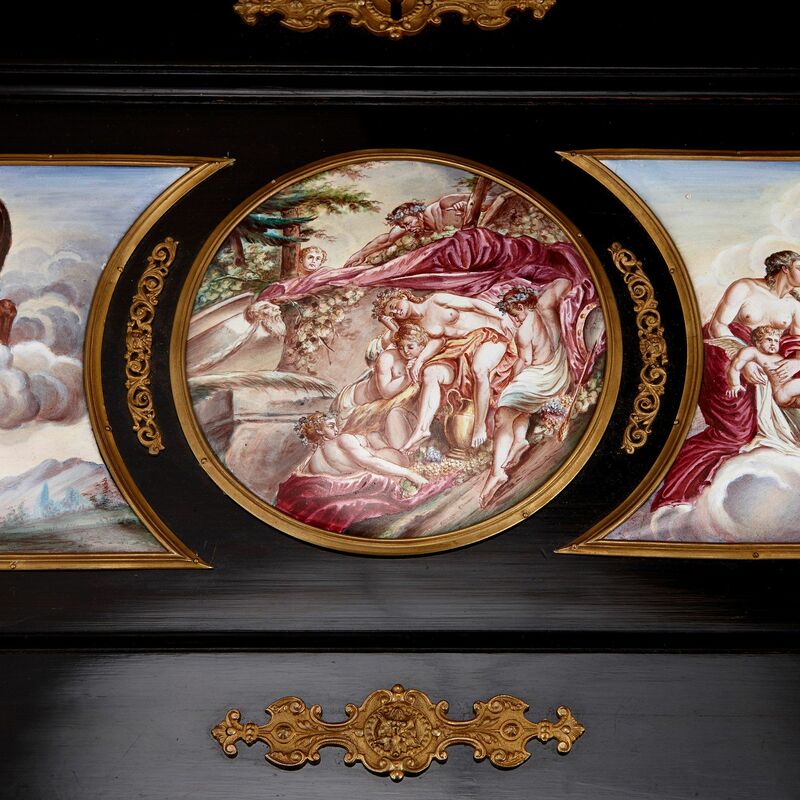 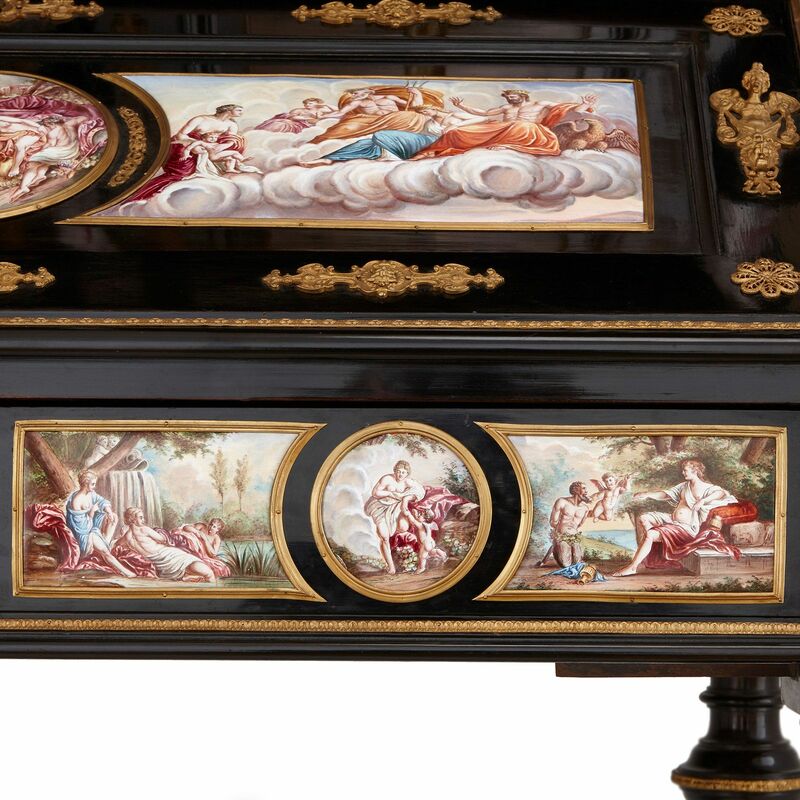 Each of the drawers is decorated with two circular enamel panels depicting a mythological figure, each bordered by a square form foliate ormolu cartouche. Below the main body of the cabinet is a sloping front panel, decorated with enamel panels, which opens to reveal a writing surface lined with leather. 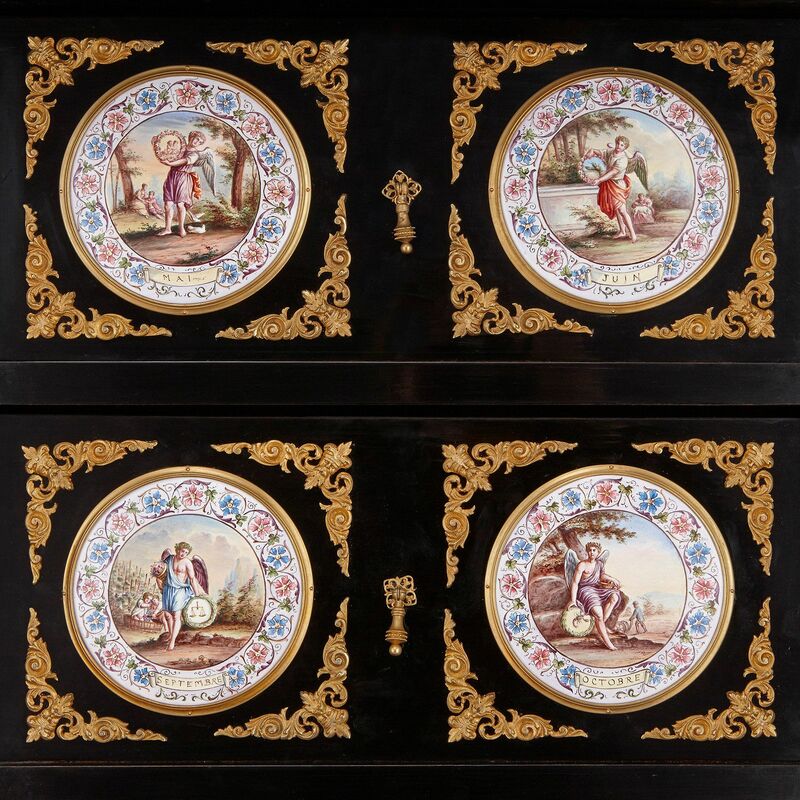 The interior contains two drawers to the rear in each corner, each featuring two fine rectangular enamel plaques, with a storage space to the centre. 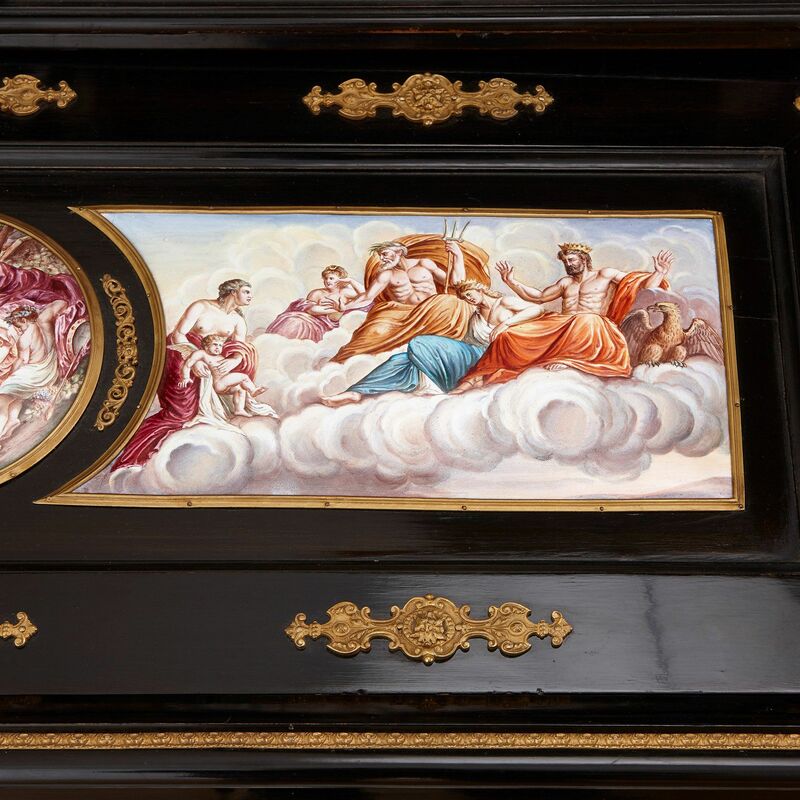 Below the writing surface runs a further frieze of enamel panels. 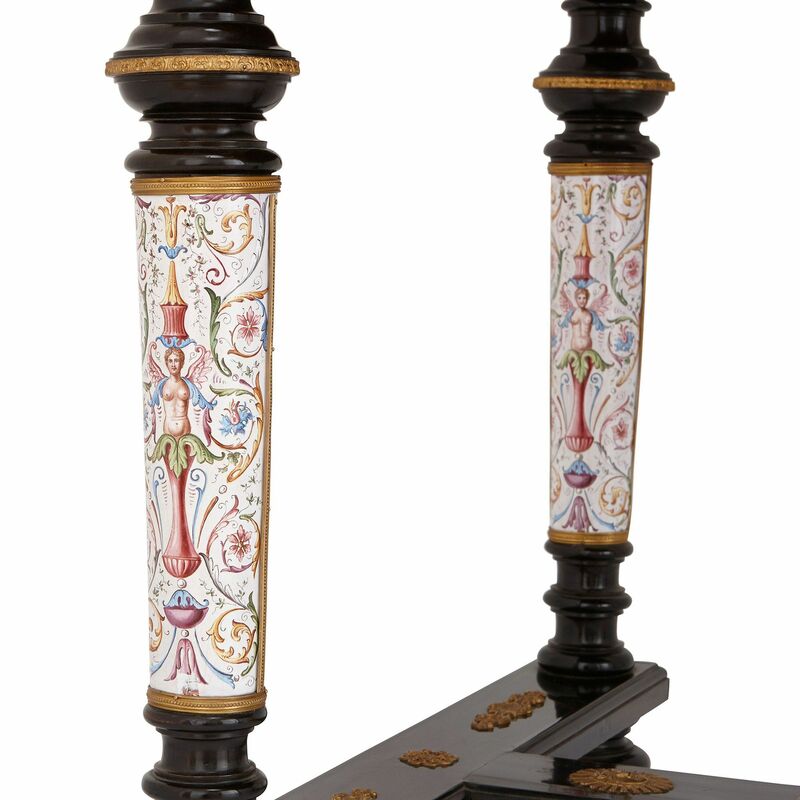 The desk is set on four legs which each feature cylindrical enamel panels of arabesques on a white ground. 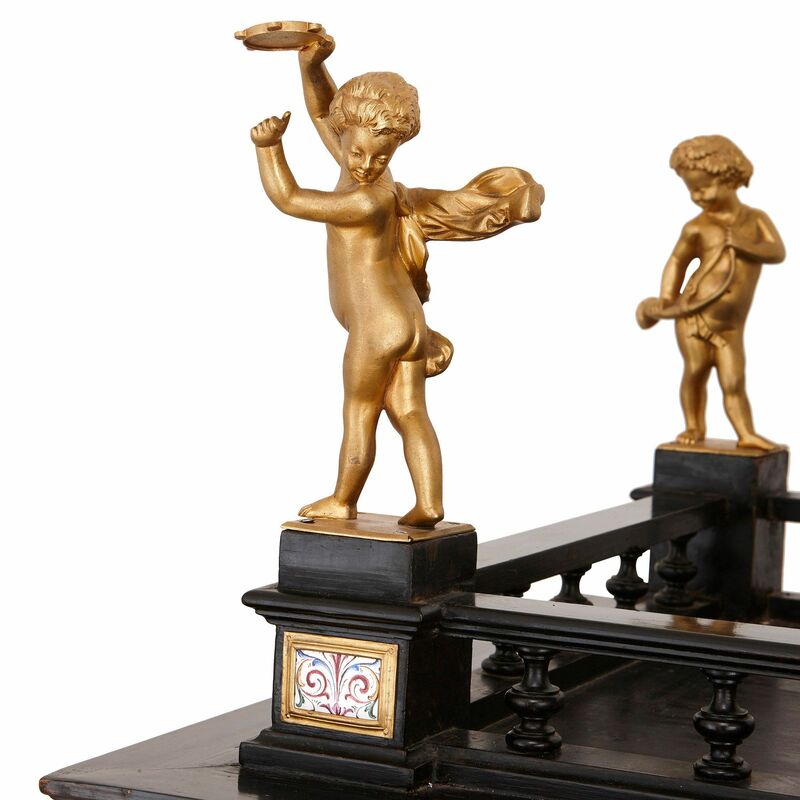 The lower legs are joined by an H-shaped stretcher with an ormolu urn and flanking lions to the central support, all supported by four feet set with ormolu mounts.